EL MONTE – Gidley School eighth-grader Tracy Chow said three years of participating on her school’s Science Olympiad team as captain has given her a tight-knit group of friends, fed her passion for learning about science and given her a career goal. Science Olympiad is an after-school program that has been a staple at Gidley School for more than 25 years. The program averages 50 fourth- through eighth-grade students each school year, who jump at the chance to learn more about various science disciplines including biology, Earth science, chemistry, physics, computers and technology. Science Olympiad provides students with an in-depth look at high school-level science topics and allows students to build contraptions and plot their own experiments. The program has helped countless students realize their potential by encouraging them to explore new career opportunities, Science Olympiad Head Coach Pamela Dominguez said. Dominguez said Science Olympiad has inspired students to attend prestigious colleges such as UCLA, Berkeley and Stanford and study complex topics including neurology, pharmacology and chemical engineering. She also said the program helps improve lateral thinking as well as writing and social skills. Gidley’s students have opportunities to test their science aptitude against other area schools. The District sent 15 students and two alternates to the 2019 Mesa Robles/Wilson High School Science Olympiad Invitational on Jan. 19 to compete against 43 schools. The event required nearly three months of preparation, with additional work done before school and on Saturdays, Dominguez said. Students competed in a series tasks such as building battery-operated vehicles, investigating viral outbreak causes, using math to determine magnetism and answering questions about genetics. Dominguez said invitational events are practice, aimed at getting students ready for regional and state competitions. Gidley School’s students will attend the 33rd annual Los Angeles County Regional Science Olympiad on Feb. 23 at Rio Hondo College, where they will compete for a spot in the state tournament in April. 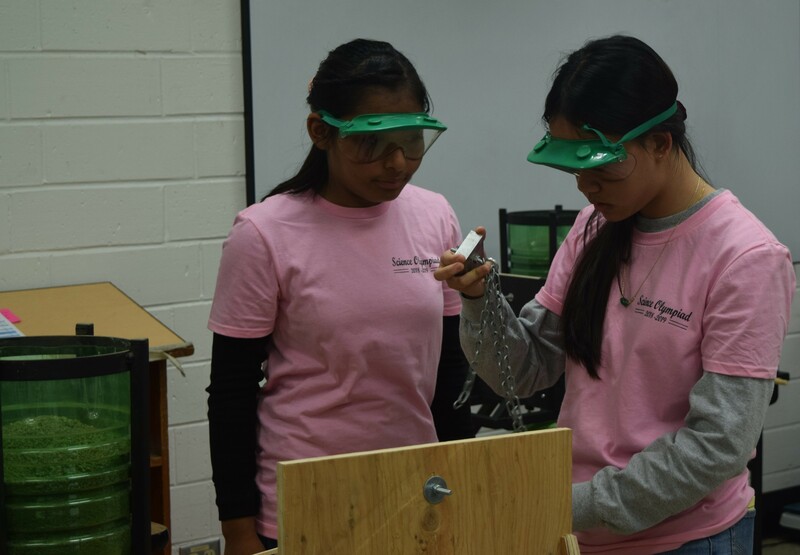 EMCSD_SCIENCE1: Gidley School eighth-graders Amanda Tran (right) and Natalie Siguenza check to see how much weight their boomilever can hold during the 2019 Mesa Robles/Wilson High School Science Olympiad Invitational on Jan. 19. 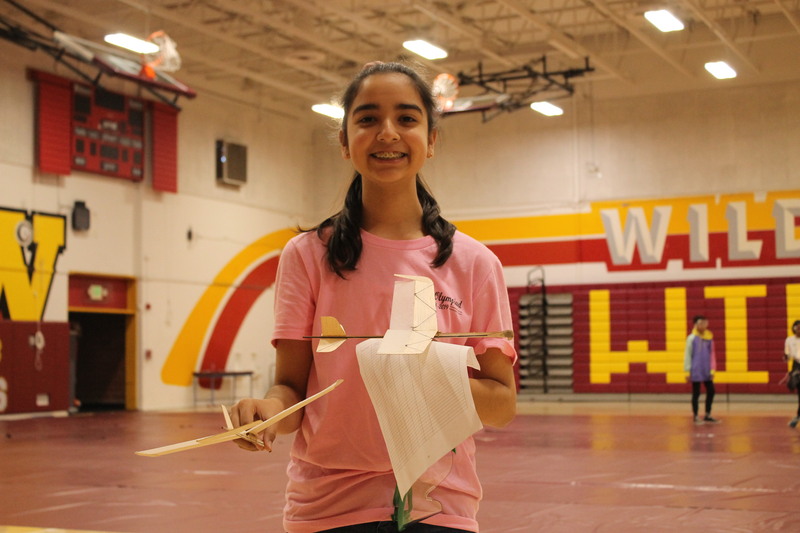 EMCSD_SCIENCE2: Gidley School eighth-grader Arianna Acebedo holds her team’s elastic glider, which was built to outfly other area schools competing at the 2019 Mesa Robles/Wilson High School Science Olympiad Invitational on Jan. 19.